I’ve made a pie crust or two in my life. Any of my attempts to conquer the homemade pie crust have been via food processor. Thank you very much, Ninja. I blame my reluctance to attempt this on my mother. Due to the intimidating skills of (a) her mother-in-law/my grandmother and (b) her husband/my dad, she made the pie fillings while my Dad made the pie crust. This lasted for approximately 20 years of marriage. 20 years!!! Until one day, when she, refusing to be intimidated any longer, put on her big girl pants and made a pie crust. She may have deemed it ugly, but you know, it tasted just fine. And honestly, in my world, taste always supercedes appearance. It’s nice when things have both, but you know, just like with people: substance over sexiness. Side note: I could care less about what the cupcake looks like. Just throw some frosting on top and give it to me. Boom. Done. 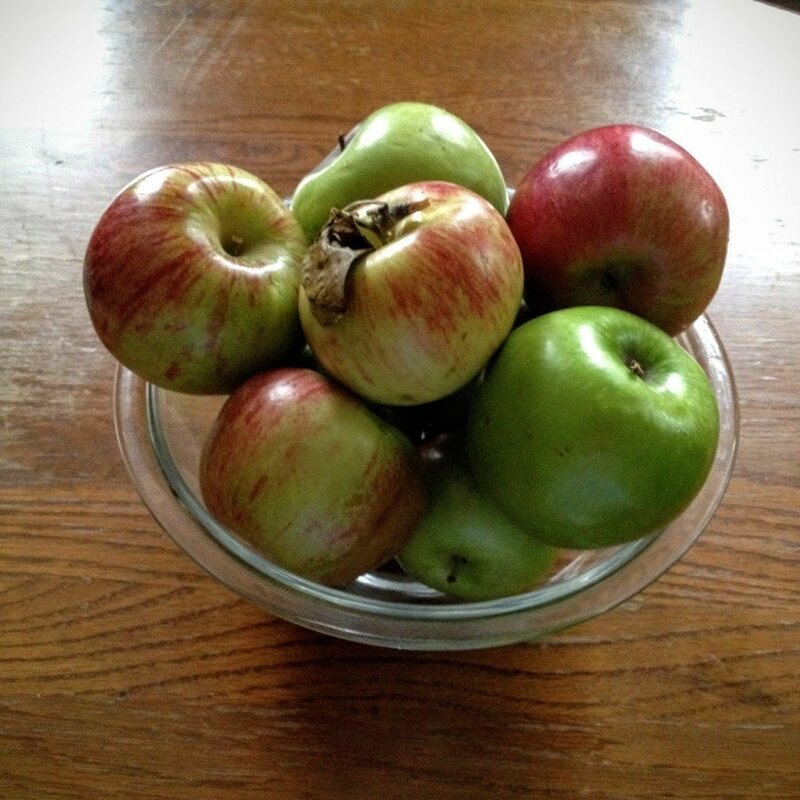 But this post is about apple pie. Right, pie crust was where we were… Anyway, regardless of your thoughts or fears about pie crust, this pie takes the easy way out. #WIN! No worries about overworking the dough because Pillsbury does all the math for you. 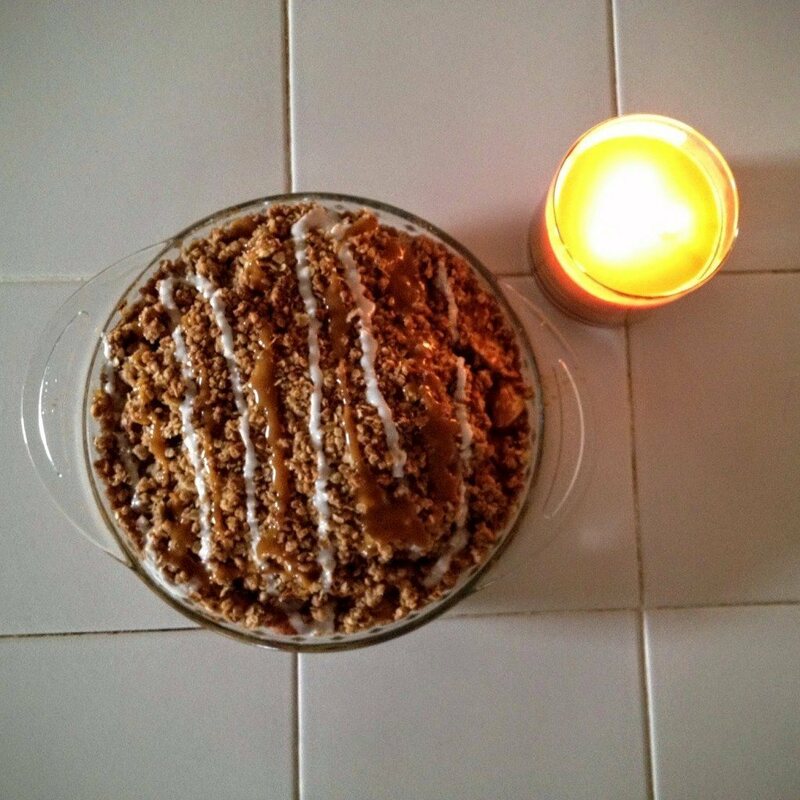 All you have to do is squish some cinnamon rolls into a lazy-girl pie crust, peel and chop apples, mix the filling, and make a crumbly granola-like topping. Boom. Done. 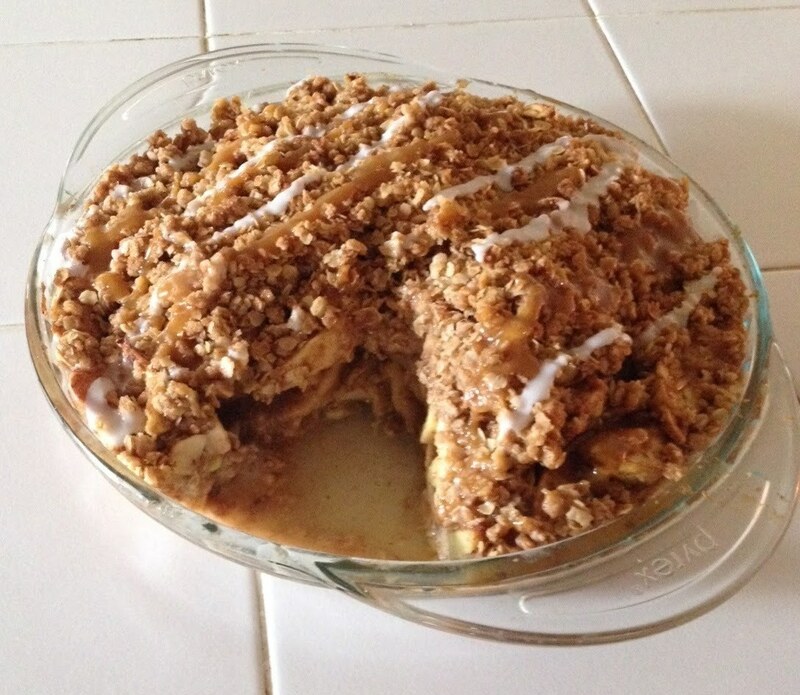 A sweet and easy lazy-girl take on classic apple pie! Preheat the oven to 375 degrees. Spray a pie pan with non-stick spray. 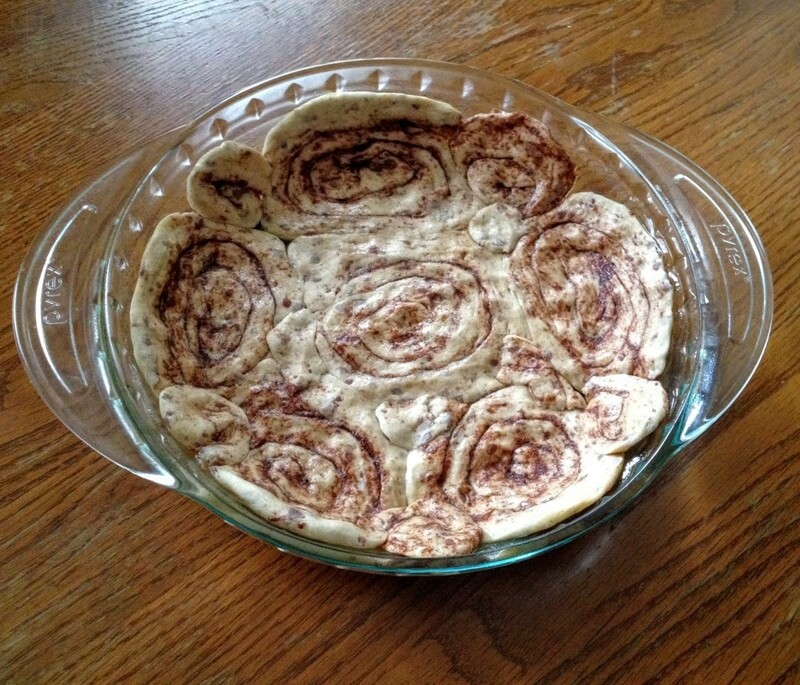 Then, while the cinnamon rolls are still rolled up, arrange six of them so that they cover the majority of the pie pan. Reserve two. Flatten the six to over most of the pan, and then use the remaining two to fill in the gaps. 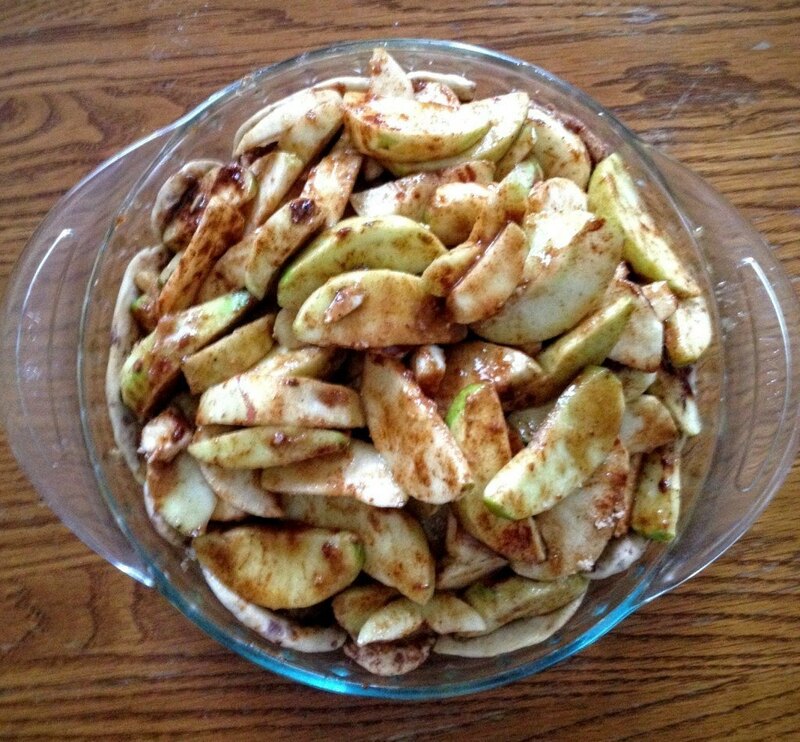 Place all of the filling ingredients in a large bowl. Do not stir until everything is in the bowl. Then stir only until just mixed. The more you stir the mixture, the juicier and soppier your pie will be. Not what we want. 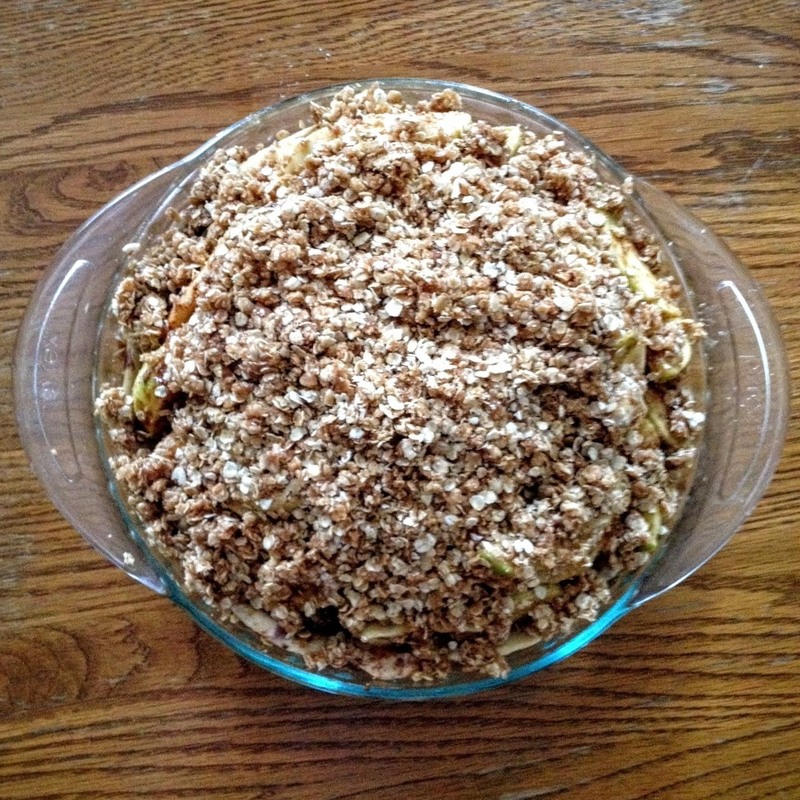 Once combined, pour the filling into the pie pan. Your pie should be pretty tall. 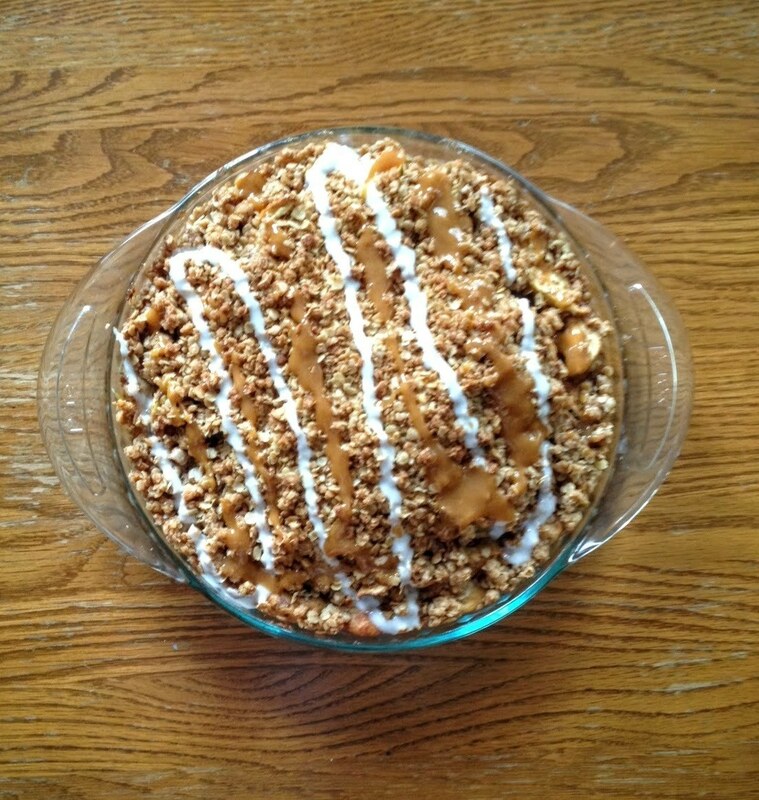 In another bowl, combine the ingredients for the oatmeal cookie crumble. Chopping the butter into the dry ingredients will result in the highest number of chunks in the topping. 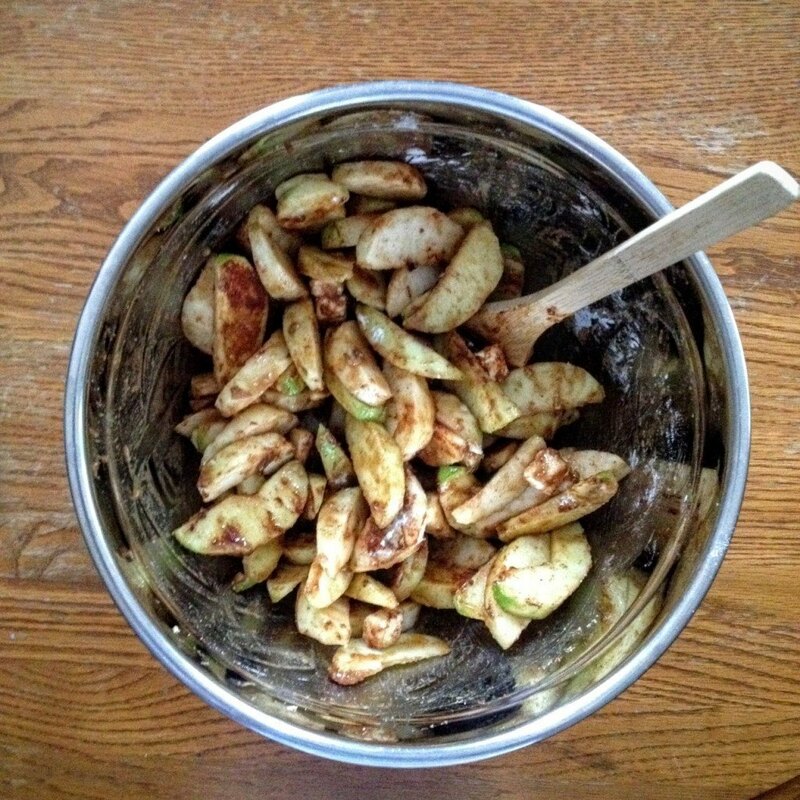 Carefully pour the cookie crumble topping onto the apples, patting gently. I placed my pie on a cookie sheet before I put it in the oven to catch any wayward crumbs. Bake the pie for 40-50 minutes, until the crust and topping are golden brown. Allow to cool for at least 1 hour before cutting into the pie and/or drizzling. Drizzle the pie with cream cheese icing (my cinnamon rolls came with some) and caramel sauce. Serve with ice cream, whipped cream, or plain! Sad attempt at food styling. Like I said earlier, substance over sexiness. Recipe loosely adapted from Jessica at How Sweet It Is.